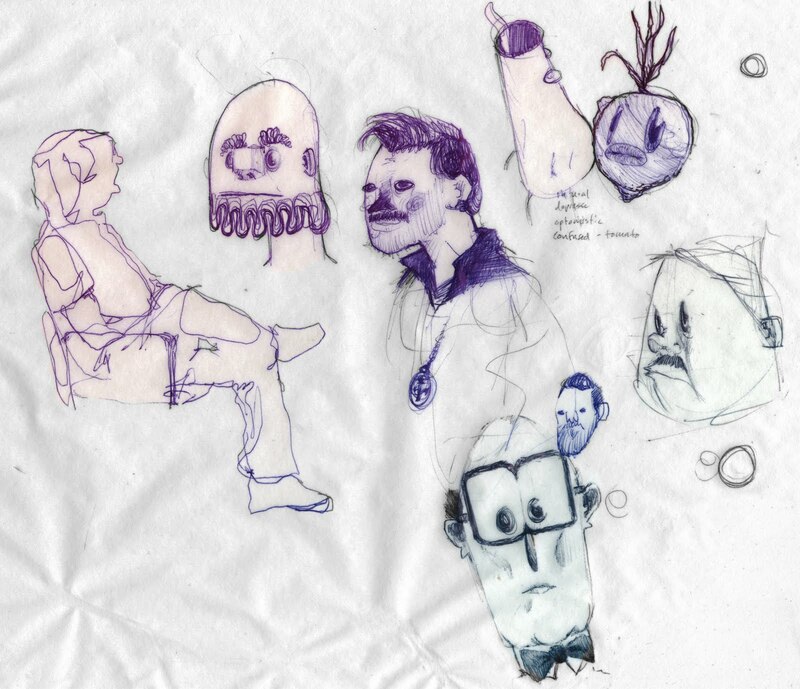 Stuart Bury: Doodles. Or how not to worry when your job gets you down. Doodles. Or how not to worry when your job gets you down. I keep a pad of paper directly under my keyboard. So when I get bored/burnt out on what I am working on I can just doodle for a second and get back to work. I recently had a very disenchanting day at work. But I learned something worth sharing. When work gets you down, don't worry. That's about it. The majority of my stress is self induced by repeating anxious thoughts in my head. So just chill out. The bible tells you so. As always hit me up on twitter, facebook, vimeo, and/or G+. Contact info in the contact tab up top. I never tried doodling when I get burnt out at work. I'll have to give this a go, thanks for the tip!